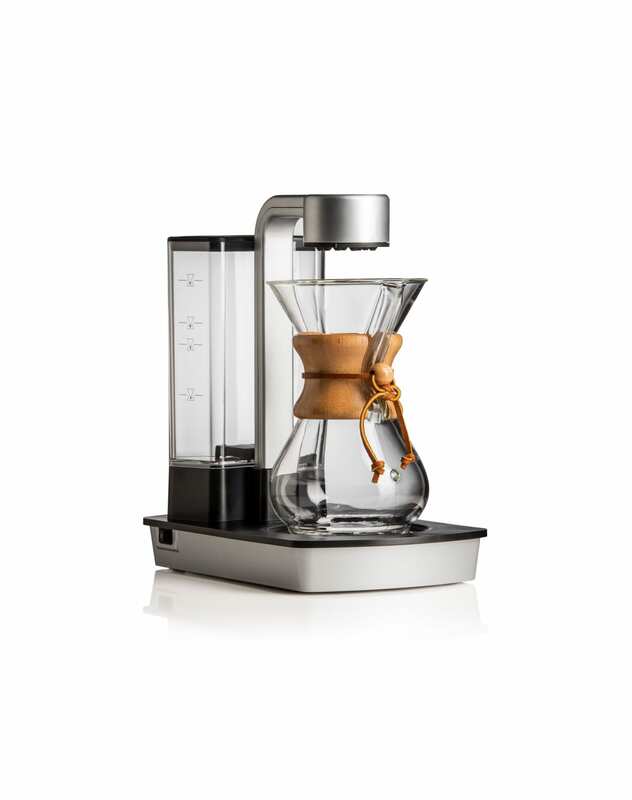 Introducing the incredible automatic pour over coffee machine from Chemex: The Ottomatic. Its clean and simple design perfectly compliments the elegance of the glass CHEMEX® carafe. 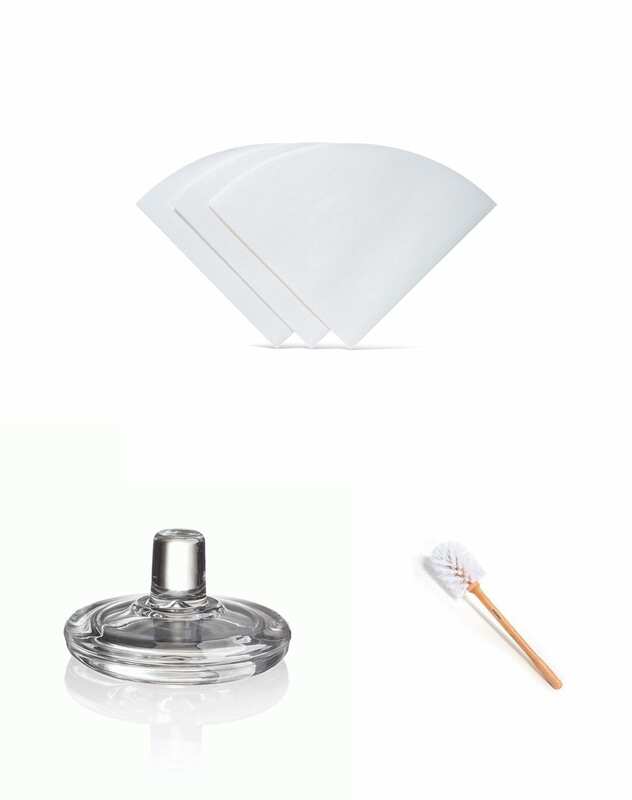 It includes the 6 cup carafe (9dl), but works with all the sizes. The unmistakable quality and effortless functionality are in tune with the enduring Chemex philosophy that beauty and science can be one in the same. 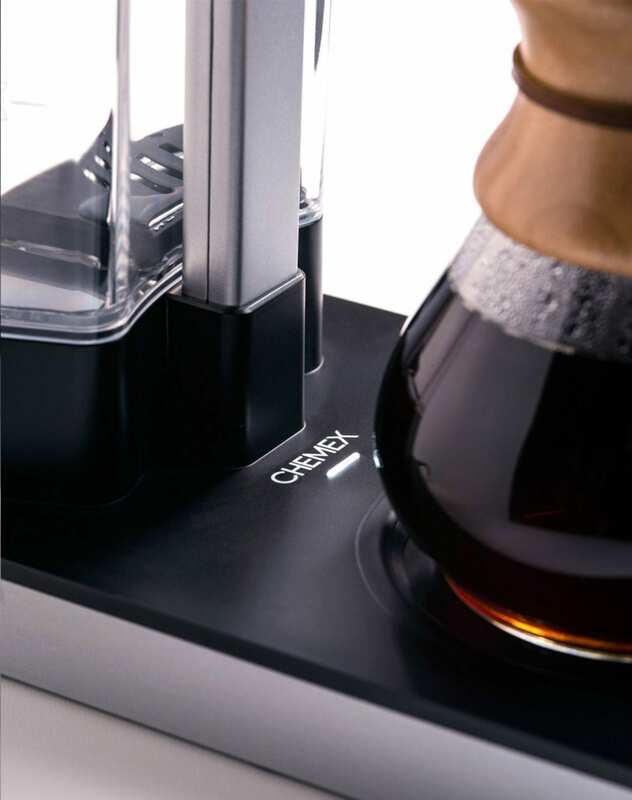 — Hot Plate keeps the coffee warm without burning or compromising flavour, auto-deactivates after 30 minutes to prevent scalding.